As the old saying goes, time flies when you’re having fun. I can’t believe I’m 28 already. It seems just yesterday that I graduated from college at 21. Bright eyed, smiling, and soul full of motivation to the best me I could be. While many things have changed, my drive and motivation have not. The drive is a bit different now, but the push to be great is still there and will forever be there. The last year has been good to me and I’ve learned a few things along the way. This year was full of peace, self-reflection, and new journeys. In the midst of self-reflecting and becoming one with myself, I attracted a bunch of people interested in my journey. My readers and peers became interested in how I’ve become such a happy, free-spirited person, despite it all. For awhile, I didn’t really have the answer aside from finding and protecting my peace. My loyal readers already know how important my peace and sanity is, and the lengths I go to maintain it. This year I’ve began self-reflecting a lot, trying to truly learn the inner workings of my mind but that’s a different blog for a different day. But because of the attraction from other like minds, I decided to begin an annual retreat for women to live, reset, revive, restore, and just let go. I wanted to bring my birthday in peacefully with women like myself and just have a good time. So instead of coming out an announcing it to my blog and all of my social media pages, I decided to just pick a few friends all from different time periods of my life to test it out. I chose three other women who have followed my journey and whom I speak candidly with often to see if this retreat would work. I loved the idea because each of them are completely different; different interests, different career paths, different personalities but they all have a beautiful spirits. A photographer. A boutique owner. A paralegal & Myself, the writer. I thought this has to be interesting group of people and it was. I just wanted to bring women together and create memorable moments. We talked, we laughed, we explored, and created a bond through this retreat. I was so happy that each woman was able to get along and create memories that we can laugh and talk about years down the line. They trusted me with planning a trip with women they weren’t familiar with and I appreciate them for trusting me throughout this process. We had such a great time that I am opening this retreat up to others next summer. 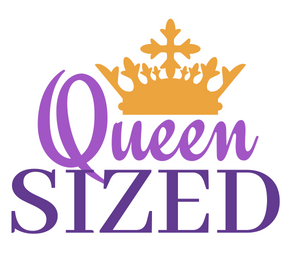 So be on the lookout for details, because summer 2019 we are coming together for another Queen Sized Retreat and you all are invited! Check out some of our fun moments in Cancun below. Next PostWhere your real friends at? As always you continue to expand upon finding peace and happiness. I was on the edge of my sit while snacking on pecans watching the Queeensized retreat on the Snapchat. I know you have created a phenomenal retreat for all. I cannot wait for next year. I will definitely be there. Again, I’m super sad that I didn’t make it but super happy that it turned out how you wanted. Sharing your journey is sometimes hard for you lol but you are blessing others through it! I won’t miss another Queen Sized Retreat! Count me in for the next retreat! It looks like you had a great time! I will definitely let you know the next one! More information is coming soon.